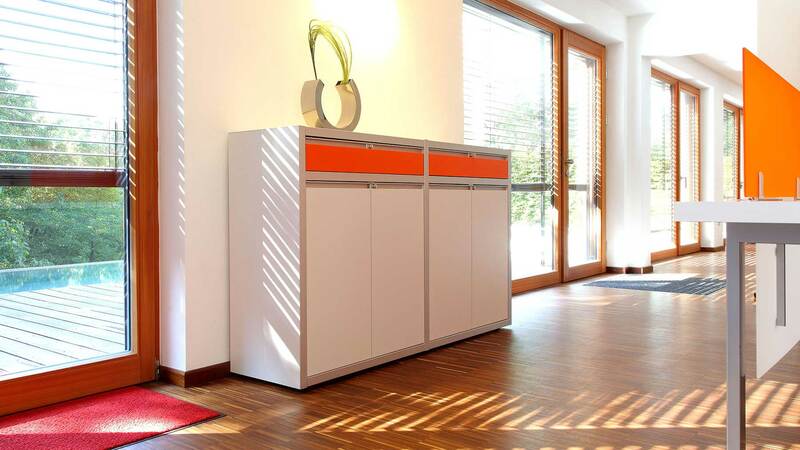 Reserved or striking, representative or stylish: archiva is a cabinet system that can play any role in rooms. 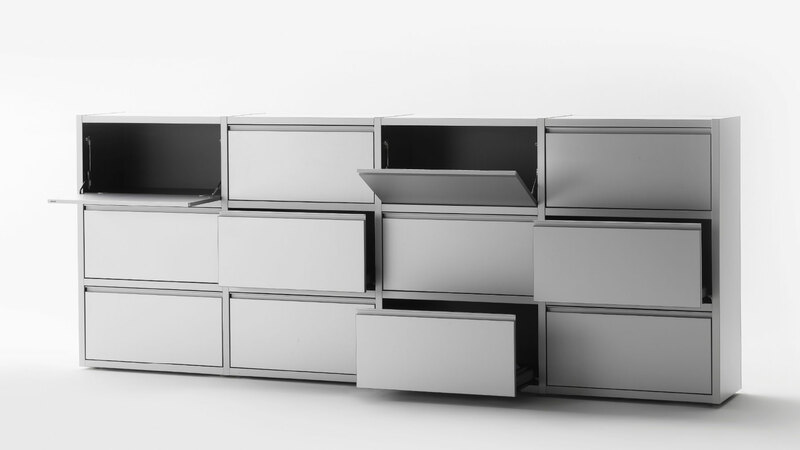 Its most important design feature are anodized aluminium profiles forming a grid, which creates the unique optical appearance of this furniture programme. 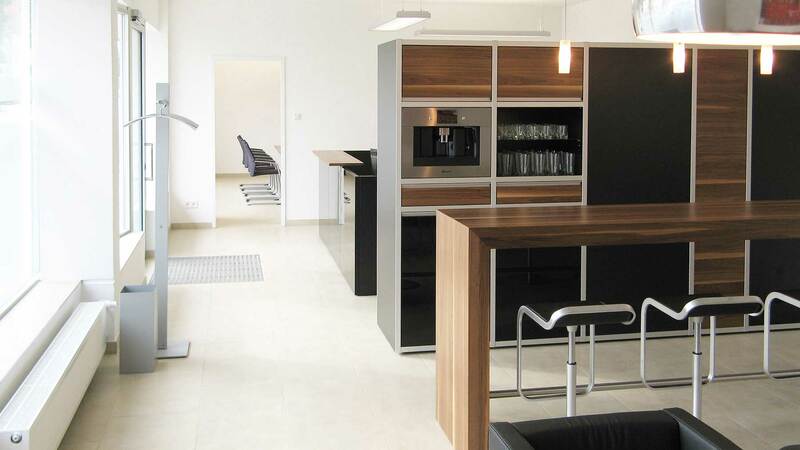 A rich variety of materials and surfaces allow for configuration of individual pieces of furniture, which are satisfying all demands. 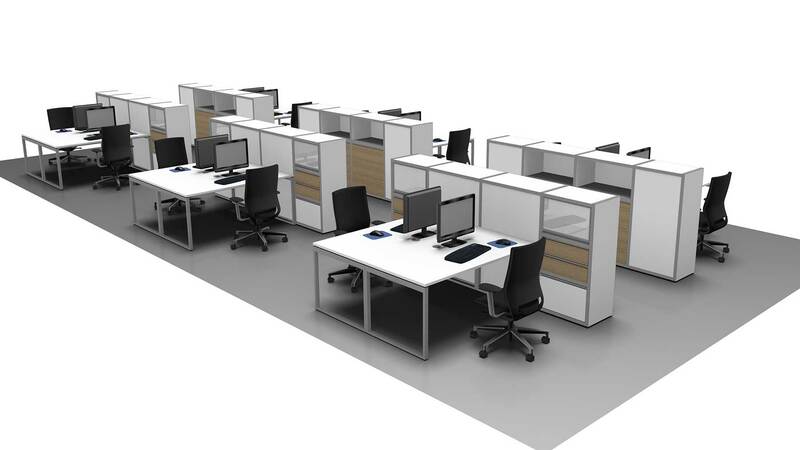 Design complete open-space offices using archiva. 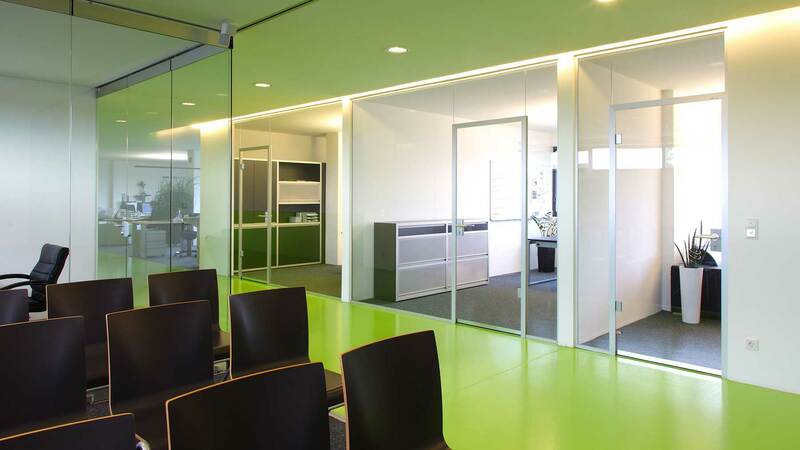 archiva is not only a cabinet system for individual offices, but can be used as room divider for open-space offices as well. 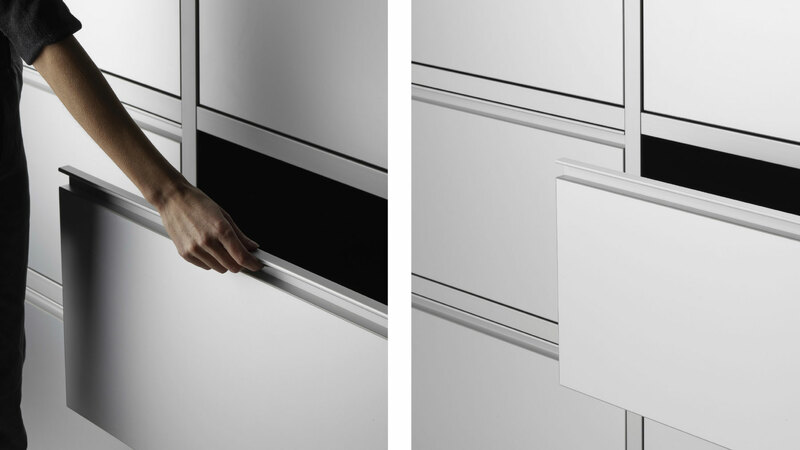 archiva configurations are extremely suited for this application, because their intelligent design provides an access both from the front and rear side. 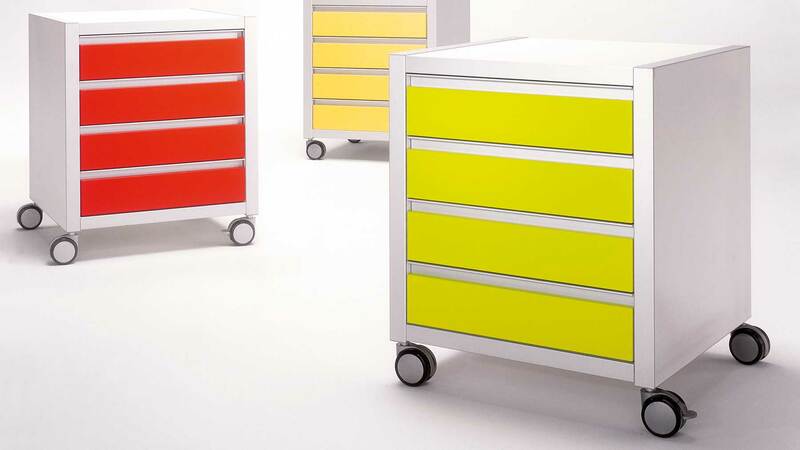 Most people prefer storage systems that are within their immediate reach zone, for accommodating personal objects or things of daily use quickly and elegantly. 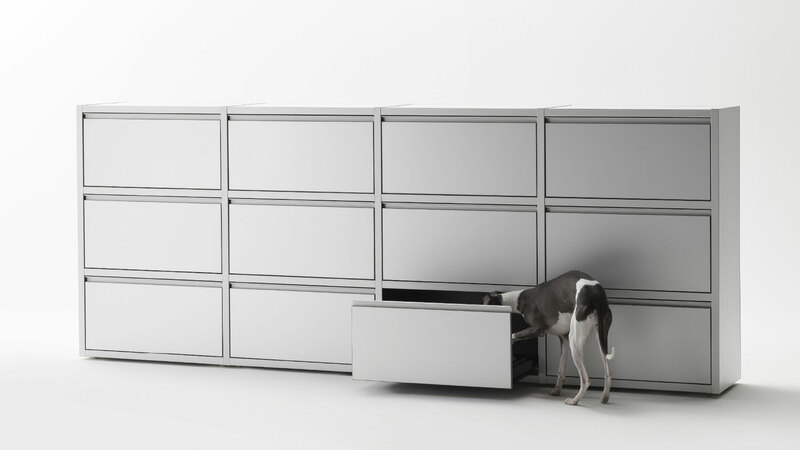 The archiva cube is the ideal completion of every office: Large drawers provide space and neat arrangement possibilities. 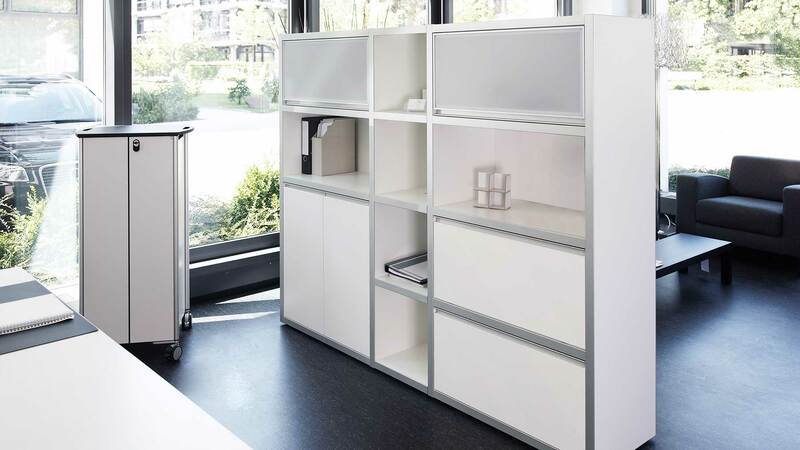 Harmonious proportions combined with the clear archiva optics create an independent piece of furniture which can be integrated anywhere. 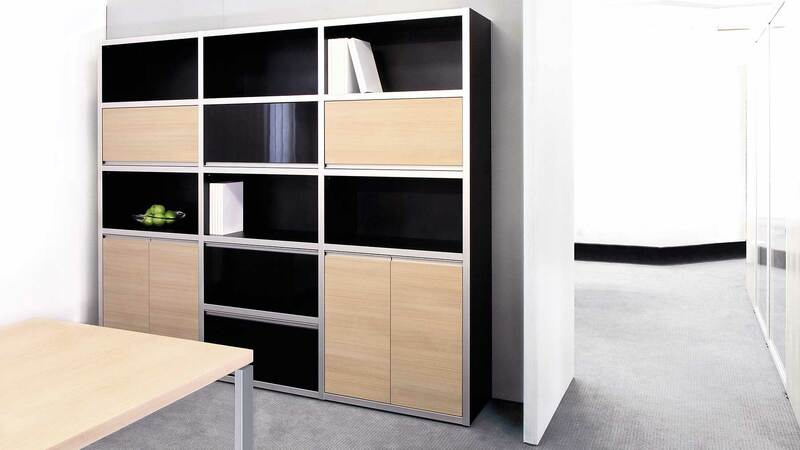 Drawer screens in different colours allow for configuration of coloured cubes, which divide rooms or set accents.